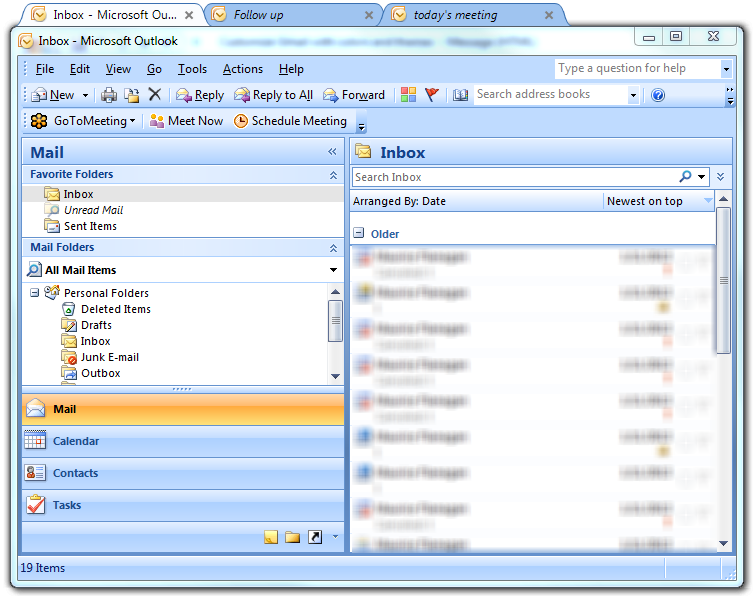 Web browsers allow you to open two or more pages at once in a single window, using tabs. What if you could do the same with the Windows File Explorer? When the Xerox researchers designed the first graphical user interface, they decided to opt for the use of windows to organize each program open on the screen. Over the years, you have seen that opening several documents, web pages or programs in general causes the screen to fill with windows, one on top of the other, so that it is difficult for you to find the window that you are interested in consulting. Web browsers found the solution: Tabs. Thus, by adding a top bar to the browser window, you could open two or more pages simultaneously without changing the window. For its part, macOS also introduced the use of tabs in its most recent versions. Windows, on the other hand, has resisted this option. Only Internet Explorer and Microsoft Edge have tabs, and at the time of writing these lines, there is still no official date for Windows 10 to have tabs for organizing the windows. Meanwhile, you will have to settle for third-party apps that will allow you to enjoy this tool as a way to optimize the space available on the screen. Let’s see several the best free tools to add tabs on Windows File Explorer. The most recent tool that adds tabs to Windows File Explorer is Groupy, a tool created by Stardock, responsible for other geniuses such as Fences or WindowBlinds. Available for Windows 7, 8.1 and 10, Groupy allows you to group windows from the same application or different apps in tabs, saving space. Besides, you can perform these groups manually, for specific moments, or automate the process through your preferences for when you need to work with specific apps at the same time. Groupy is a paid tool, although you can try its features free of charge for 30 days. Clover 3 is an extension for Windows Explorer that adds tabs to it, as you would see in a browser like Chrome. 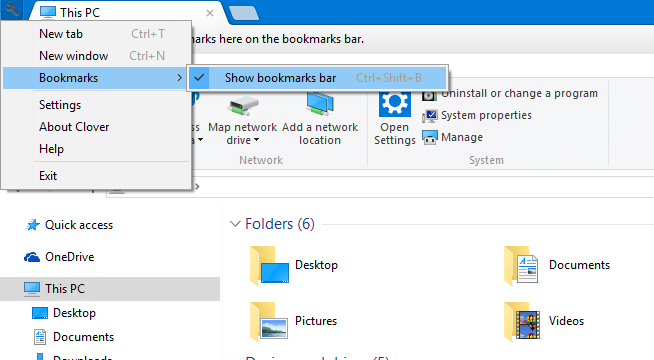 So you can go grouping tabs in the same window, instead of having different windows for each folder opened. It allows keyboard shortcuts to open, close and change between them and you can even add “favorite” directories to have them always at hand. Clover 3 is free, and you can download it from its official website. Although Microsoft is working on improving its file browser, many users are looking for a series of functions and features that, although they have been asked several times to the company, do not finish arriving. Many Windows users seek to be able to customize their operating system in a way that is most comfortable for them to work on a day-to-day basis. One of the most requested and sought after functions are the possibility of opening two folders in the same browser window to compare their files or copy files from one to another without having to use two different windows. Although this is not possible with the default functions of Windows Explorer, some apps allow us to customize all these sections of your operating system. QTTabBar is a free tool that will add tabs to Windows File Explorer with a series of additional functions and features, for example, the possibility of opening two different folders in the same window. 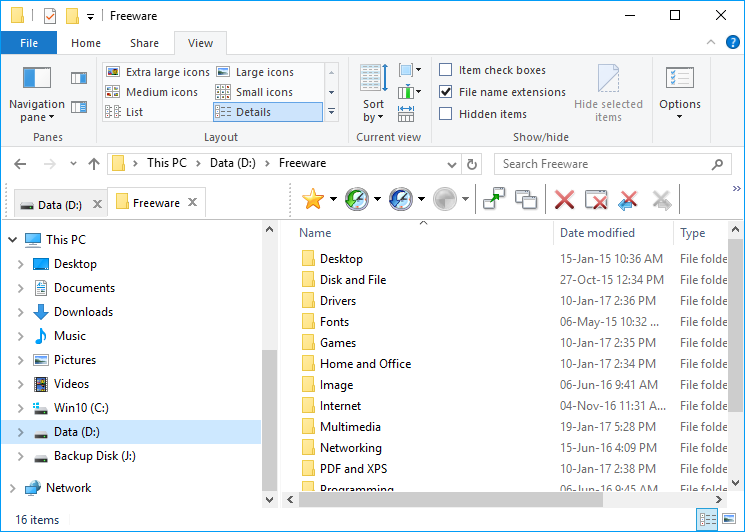 This app integrates perfectly in the Windows file explorer, so by default, the safest thing is that at first glance you don’t see any changes. TabExplorer is an interesting free tool to improve your productivity using the PC, and it is designed to add tabs to the Windows Explorer, in such a way that the navigation by the team in its multiple units and folders, is much faster and simpler. As you can see, the TabExplorer interface is in English and is easy to guess. In principle, it will only be necessary to adjust (or enable) the tabs, define if you want them to be colorful as part of the customization and decide if it will start next to the system. No more, that’s all. Among other configurations, you can create a portable version of the program, this from the Help menu. Once the tabs are enabled, you can manage them as it is done in a browser, with basic and advanced options for a better experience exploring our computer. TidyTabs is a tool that adds file explorer tabs in the different windows of the programs with just drag and drop. In this way, you can organize much better all the programs that you have open without needing to have many windows open, something that can be quite uncomfortable on certain occasions. The tabs have been and are quite popular in the world of browsers. However, they are practically circumscribed to the internet or the use of a single program. With the arrival of TidyTabs, this has completely changed. As most Windows programs aren’t compatible with the tabs, the only solution was the arrival of TidyTabs, since it allows, with just drag and drop, to unify several programs in the same window. Its use is effortless. You have to open the program after installing it and move one app to the other’s tab. It is very intuitive because just by moving the mouse to the top of the main program will appear the option to add the tabs of other programs right there. One of the best things about TidyTabs is its ability to personalize. At first, and by default, the tabs will be hidden and will only appear when you raise the mouse to the top. However, if you go to Settings, by pressing the right button of the TidyTabs icon, you will have the option always to be visible. Besides, it is also possible to establish a level of transparency. At first, the tabs will be 50% but can be set to 100% or 0%. In this case, you would not see them in any of the ways. They would be there, but they would appear invisible. Likewise, it is also possible to make exclusions to programs that can use TidyTabs and programs that do not. Blacklists can be made, avoiding that particular software can be included in the tabs, or white lists, to edit that only specific programs have this option. 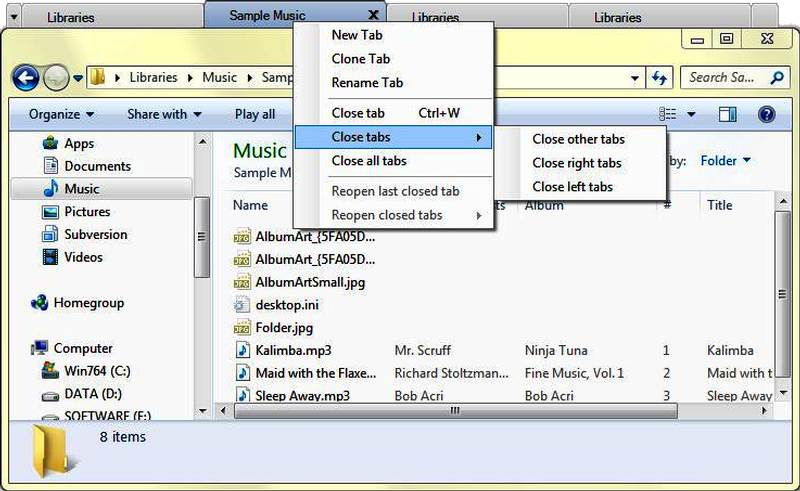 Free and open source, WindowTabs adds tabs to Windows Explorer and other apps that you have open. As in the case of Groupy, it is possible to group windows of Windows in groups by dragging and dropping the tabs, and although it officially works in Windows XP, 7 and 8, it is also possible to install WindowTabs in Windows 10. The official WindowTabs page highlights apps such as Microsoft Office, Outlook, Adobe Reader, Adobe Photoshop, Internet Explorer, Windows Explorer, etc. but in principle, it gets along well with any app window that you open. So far the best tool that ley you add tabs to the Windows File Explorer to organize and improve your productivity while working or studying. Do you see another tool to add tabs? Let me known in the comments section.